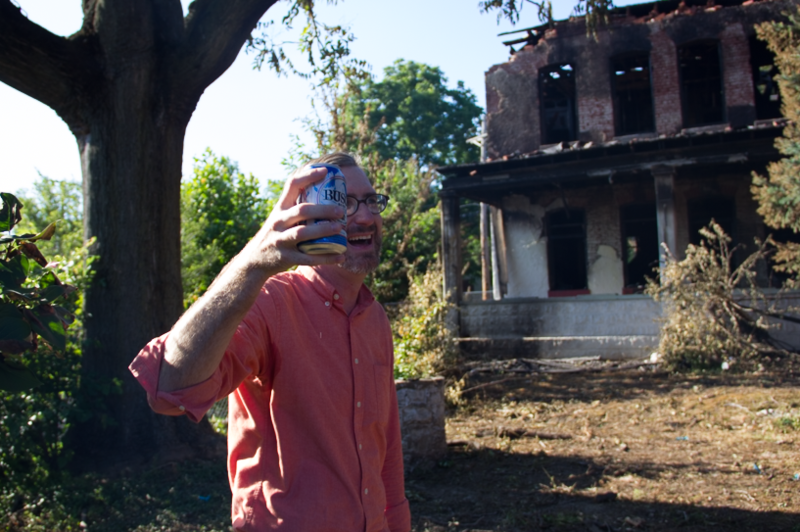 Preservationist Michael Allen leads a toast honoring the memory of a burned building in south city. 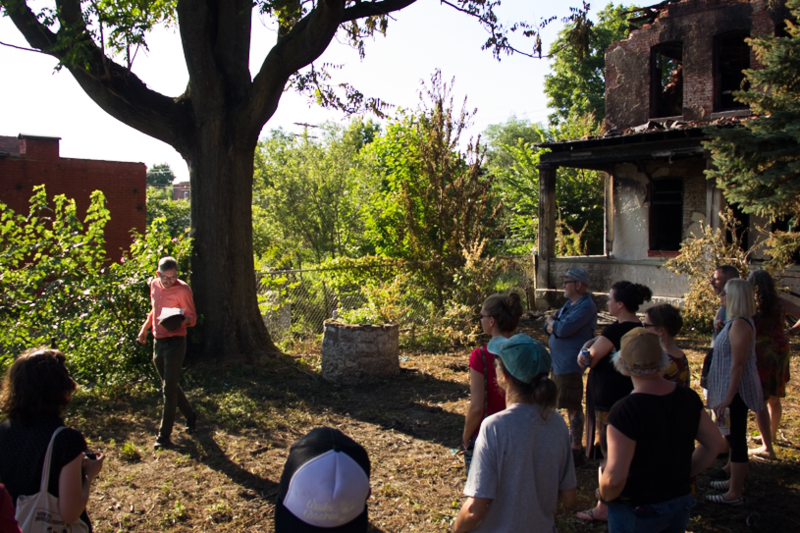 Last week, after more than a century of life on a tree-shrouded lot in south city St. Louis, death finally came for 2811 Chippewa. On June 14, flames ripped though the insides of the two-story Gravois Park structure, unleashing a shroud of ugly, stinking smoke into the evening sky. Three days later, a dozen or so mourners gathered on the home's broad lawn. 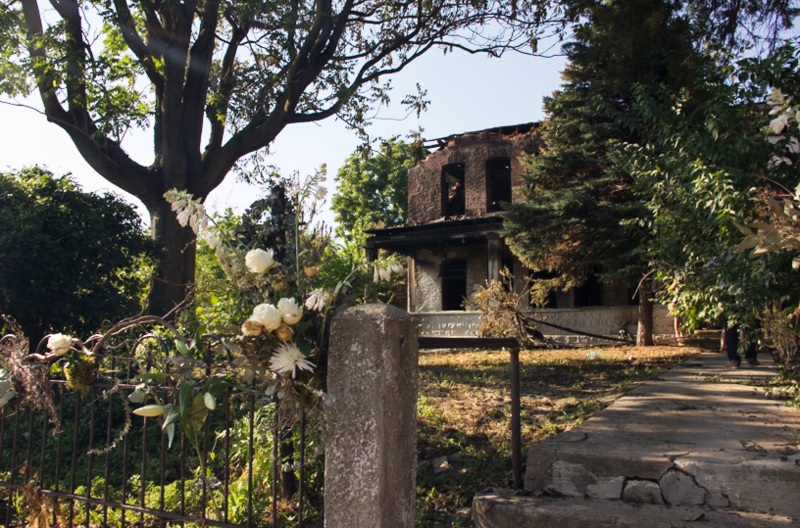 They passed cans of beer, brown liquor and paper cups, paying their respects to a building that had been poised for redemption — possibly as a bar or business — but which now stands decimated, a soot-blackened mausoleum to what might have been. Michael Allen was among the mourners. An architectural historian and director of the Preservation Research Office, he lives just down the street from 2811. When he spotted the smoke rising above Chippewa Street last week, Allen's first worry was that his own home was burning. When he saw that it was 2811 engulfed in flames, there was still less relief than devastation. "This building has been a source of wonder and curiosity to a lot of people," Allen said during a winding and spirited eulogy on June 17. "This house is different than a lot of what’s around here. The setback, this fence, the concrete columns, the brick covered in stucco. It's been a bit of a mystery to people." 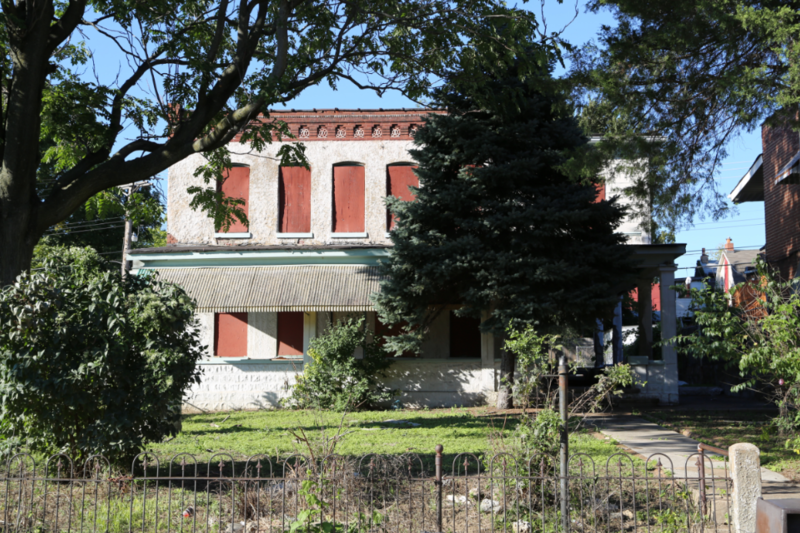 2811 Chippewa Street, as it appeared before a fire consumed the structure last week. "The life of this building is really a testament to the philosophy that there’s really nothing static in the architecture of cities," Allen continued. He described the additions made in 1917 and 1921 that accounted for the presence of modern concrete block and a rear garage. This was a building that never quite fit, was never quite complete. Various owners kept tweaking and adding to the structure, each according to a different vision. Developer Jason Deem bought the building, which was just a few blocks west of Jefferson, near California, at a tax sale in May 2014. He said that he'd been in talks with contractors as recently as two weeks before the fire. He had planned to renovate the property for commercial use, and had begun putting together a concept for a bar. He had already settled on a name: Homestead. "There's a very small chance we may try and save portions of this too. 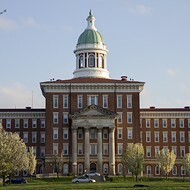 We'll have engineers and architects look at it and see what’s possible," Deem said. The fire department is still investigating the fire, which Deem considers a likely case of arson. There were no utilities connected to the building, and the developer said that he's spotted kids breaking into the property in the past. "It’s a beautiful structure, and it's kind of cool to recognize it before it gets demolished if that’s what we have to do," said Deem. "I think every building deserves a funeral when something like this happens." But few buildings do. 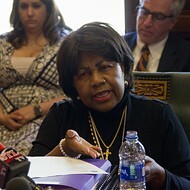 Ward 20 Alderwoman Cara Spencer, who attended Friday's ceremony, angrily noted that suspicious fires have claimed four buildings in the area in just the past month. The loss of 2811 was especially painful. "It’s a heart breaker," she said. "It’s a very unique building. It was iconic in a way." In wrapping up his eulogy, Allen turned to Martin Heidegger, citing the German philosopher's writings about how humans can use history as a coping mechanism for facing their own mortality and an unknowable future. "History is our way of recognizing there’s a future beyond us, and we keep track of the time in between," Allen said. He raised his beer in a final toast. "I think this house is a beautiful testament to that, because it's always been in that place, of 'having been.' It was one thing, and then it was another. Today it's a charred, fire-damaged shell. But maybe, in fact, this is just another ‘having been’ moment of this property, where it becomes something else and in the future we’ll look back and see this as just another twist, another turn in the plot of this building’s life, which has never been a straight line at all."